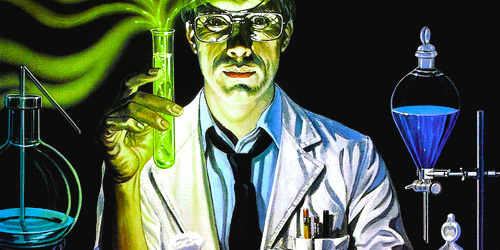 I’m not embarrassed to admit that this year was the first time I’ve ever seen Re-Animator (story by H.P. Lovecraft), but I definitely regret not getting around to it sooner. 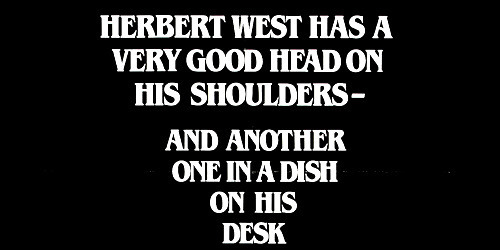 Re-Animator is, of course, the cult classic 80s horror comedy about the borderline-mad scientist Herbert West who crafts a concoction that resurrects the dead. However, Herbert, his roommate, and his roommate’s girlfriend can’t quite figure out how to keep the resurrected dead (including the perverted, headless Dean Halsey) from reanimating into kooky, brain-dead savages back for revenge.